DETROIT (AP) — General Motors Co. said Tuesday that it will resume paying a quarterly dividend for the first time in nearly six years and named a new CFO. The new 30-cent dividend is payable in March. Detroit-based GM hasn't paid a dividend since June 2008, when it suspended its 25-cent dividend as it spiraled into debt and eventual bankruptcy. GM shares rose 3 percent in after-hours trading to $41.20. GM was widely expected to restore its dividend after the U.S government sold its remaining stake in the company late last year. The Treasury received the stake in 2009 in exchange for a $50 billion bailout that saved GM from financial ruin. It ended up losing about $10 billion on the bailout. And GM competitor Ford Motor Co. said last week that it would increase its quarterly dividend to 12.5 cents per share, up from 10 cents. It was the second time Ford has raised the dividend amount since it reinstated its dividend in 2012. Like GM, halted its dividend for six years during the U.S. financial crisis. GM CEO Dan Akerson had hinted that a dividend might be coming. Akerson told reporters last month that since GM retired preferred stock that carried high dividend rates and payments, it now has enough money to maintain capital spending and reward shareholders. GM has made more than $21 billion in profits since emerging from bankruptcy in 2009. The announcement came the day before Akerson is expected to step down as CEO. 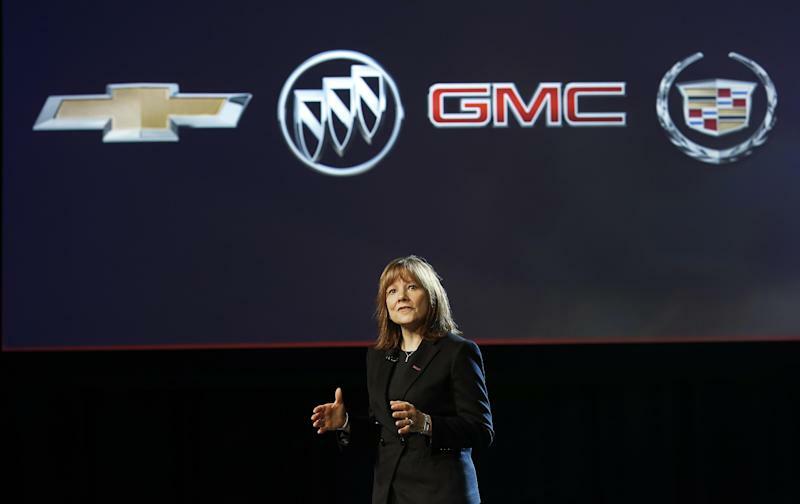 Mary Barra was named the automaker's new CEO last month. GM also announced Tuesday that Chuck Stevens will become chief financial officer on Wednesday. GM's previous CFO, Dan Ammann, will become the company's president. Stevens had been CFO of GM's North America division.